As many of you know, I hate chemicals and try to avoid them as much as I can. We live in a world where it’s just not possible to avoid chemicals altogether – they are literally everywhere from our sofas we sit on during the day to our matresses that we sleep on at night. 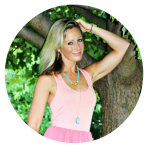 I found that if you make it a goal to change these 3 areas of your life to more natural options, you will greatly reduce the amount of chemicals and toxins that you come across on a daily basis and your body and health will reap the benefits. 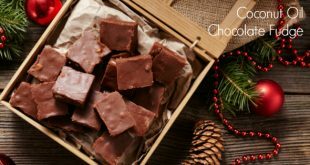 Plus as a bonus, you can save yourself a ton of money because I’ve found that the homemade versions are so much cheaper and I think work even better! Also, don’t despair if this seems like an overwhelming task. Changing the products from these 3 areas of our lives is a process. It definitely doesn’t happen overnight. I’m a believer in taking small steps to make lasting, life-long changes. I’ve been trying to live more naturally for over 10 years and I’m still in the process of changing things out. Be patient with yourself and the process. Getting back to the title of the post – this whipped coconut oil is the bomb and a great replacement for your current body lotions. Even lotions that you buy in the store that are marketed as “natural” are not truly 100% natural. Flip the store bought bottle around and I’m pretty sure you’ll discover words you can’t pronounce. But this whipped coconut oil is 100% natural and contains zero chemicals. I’ve been using coconut oil for literally everything since I first discovered the wonders of coconut oil about 7 years ago. Even though I’ve been using coconut oil for quite some time, I just discovered through Pinterest (follow me!) during the past year that you could whip the stuff. Brilliant! It whips up to a perfectly whipped consistency to feel like the most luxurious body butter you could imagine. And it stays nice and whipped in cold weather and it’s ridiculously easy to make. Whipped coconut oil is completely wonderful and I’m more in love with coconut oil than I’ve ever been since discovering that it could whip. No more taking a jackhammer to my coconut oil in the cold winter months. Yay! Makeup Remover – the best makeup remover EVER! Whip on the highest setting with a stand mixer or hand mixer for 5 minutes until peaks form and completely whipped. Add in your essential oil and whip a few seconds more until blended together. Store in a covered container. Do you love using coconut oil as much as me? What are some of your favorite uses for it? will it stay in whipped form – is temperature in the house a concern?? Yes, it will stay in whipped form! I was so skeptical at first, too, but it does! If it’s really cold, it will get just a tiny bit harder, but it’s still very much whipped. And it stays whipped when it’s really hot outside, too. Sharon, I lied about the hot temperatures and I’m so sorry 🙁 Mine always stayed whipped when it was hot outside and we keep our house at around 78-79 degrees in the summer. The cooking coconut oil would become liquid, but I never had a problem with the whipped version, which is why I thought it stayed whipped when it was hot. But today, our air didn’t kick on and our house got to around 85 degrees. I came home to liquid whipped coconut oil 🙁 I feel horrible for misinforming everyone. So sorry. I am so excited to try this! Thank you! I totally hear you, but it works, I promise! I just made a fresh batch this morning and had to cut my coconut oil out of the jar with a knife it was so hard, but as soon as I turned my stand mixure on, it started breaking apart and whipping. Could you measure out how much you need, put in container and refrigerate just that amount? Girl!! Amen! Love using coconut oil on my face!! I had really bad teenage acne and still would suffer through it until about six months ago. I committed totally to using CO for my moisturizer and make up remover, and someone just the other day asked me what I used on my skin…MY SKIN!! I told her the wonders and simplicity of CO and then going home and really looking in the mirror seeing how much it really changed my skin. So excited to whip it. I’ll probably make two, a citrusy one for the morning and maybe a lavender one for night. Thanks!! What a great story!! I think you will LOVE the whipped version 🙂 I love the idea of creating different scents for morning and night! Great idea! I’ll do the same; maybe a mint one for the a.m. and a lavender one for the p.m. Thanks! One note about using citrus oils, they are photosensitive so not recommended prior to going out of doors. Because of this I would not recommend them to be in your morning blend, but the suggestion for peppermint (or spearmint my personal favorite) would be a good alternative. cannot wait to try this. I will be whipping up some gifts to send! LOL I hear you! 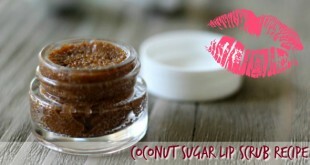 The coconut oil that I use to whip this up is the expeller pressed – it doesn’t have a coconut scent so anything goes! I’ve been obsessed with sandalwood lately. I know it’s typically more of a “mens” scent, but I just love it. You can certianly use the virgin coconut oil that smells like coconut and I think lavendar, citrus, vanilla and minty things smell really nice with coconut. If anyone else has any suggestions, let us know!! So, I just bought “Solace” by Doterra Essential Oils and am going to try it in the whipped coconut oil. This blend is to help regulate hormones in women and ease our “red tent” time. 😉 I am hoping to try it tomorrow. I was out tonight and bought a set of 4 oz jam jars that I am going to wash and fill with the whipped oil for Mom’s Day gifts and whatnot. or just use myself since they are a perfect size–the larger jars are annoying when you get to the bottom; I have been scraping my oil out with the end of an eyebrow brush! oooh that solace sounds nice! I will have to check that out 🙂 Good luck!! 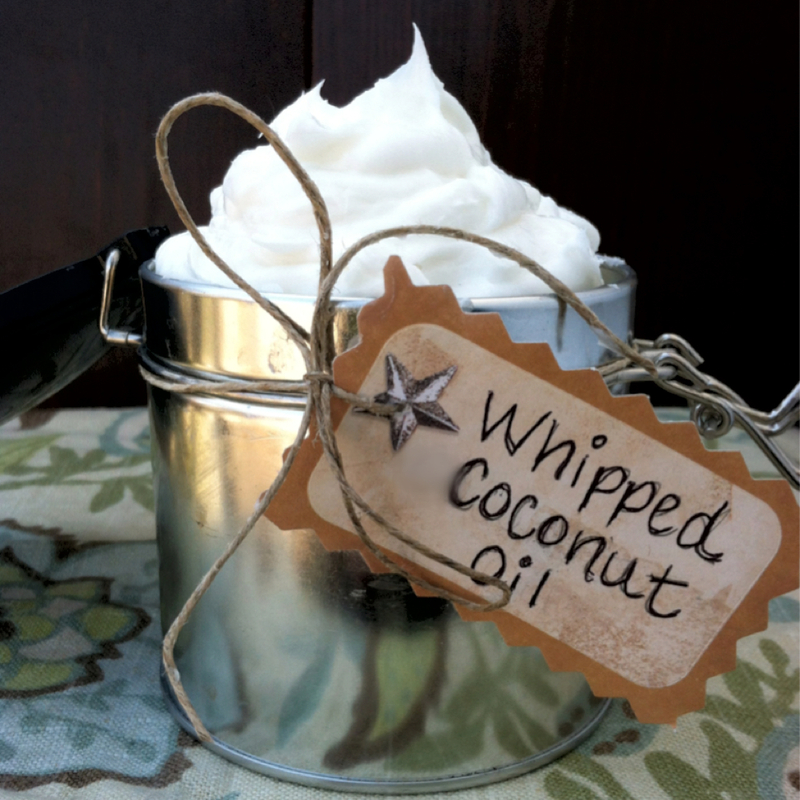 Can you use cooking coconut oil to make the whipped body butter? Yes, that’s what I use! You might try some lemon or lemongrass oil. I just made up some soap using a combination of the two scents. I used double the lemongrass to coconut oil and like the fresh scent. Just be careful with citrus oils, they are photosensitive and may cause sunburn if outside after applying:) But I’m sure they will smell great! I am totally trying this! I’ll be making some body butter AND I can’t wait to see how it works as a makeup remover. I have extremely sensitive skin and I have yet to find a makeup remover that actually works and doesn’t make my skin burn or my eyes water. So excited to try it!! I think you’ll be soooo impressed with this as a makeup remover. Coconut oil gets mascara (and all other makeup) off like no other! I would be very interested in hearing how your skin responds Stephanie. I also have extremely sensitive skin and the only thing I have used on my face for years has been Vit E oil. I even started using it for a mascara (that’s the only make-up I can wear) remover but the oil seems to be blurring my vision. I’m a little nervous to try this and would love to hear how you make out! Stephanie, I think you will love it! I also have very sensitive skin, and suffer from psoriasis, which there is no cure for, however last month I gave away all lotions/moisturizers etc to use CO. I LOVE IT! I was just surfing to get some ideas about whipping it, I cannot wait to do this as I apply my medicated foam to my break out areas and then CO everywhere, and I am counting on the whipped version being easier and quicker.! I totally agree with you Tracy. I too have psoriasis, plus blonde colouring. And my skin is very sensitive. I ditched all my proprietary lotions and potions over 12 months ago and have been using coconut oil since then. My skin has definitely improved and the coconut oil soothes any itchiness. Also if, like me, you are allergic to stuff such as lanolin, chemical scents, colourings etc. etc., coconut oil is pure, non-allergenic, and it works. I use it as a facial cleanser, lip balm, body moisturiser, pre-shampoo hair conditioner. It keeps the backs of my hands from chapping in the cold weather. I also work it into my fingernails to strengthen and condition them while I sleep. Now, I didn’t know you could whip it up into body butter so I’m going to give that a go right now. PS. I decant small amounts into mini jam jars because they are the prefect size to carry in my handbag. And because it stays solid or semi-solid it stays put. Bonus!! Which essential oil do you add? Amelia, I’m currently obsessed with sandalwood, so that’s been my go-to scent lately. Love the whole idea of it … naturally. Yes, that’s normal! It takes a few minutes to absorb completely into your skin. Just FYI- it has never stained my clothing or sheets. Every once in awhile if I didn’t wait the few minutes to let it absorb into my skin before I crawl into bed, I will get an “oily” mark on my sheets. It either goes away or comes right out in the wash. Interesting. I too am a lover of coconut oil. I used it daily to moisturize and to treat fresh tattoos as opposed to other ointments. I found that the oil stained my clothes and sheets. 🙁 I had to take them to the cleaners in order to get the oil marks out. Now I only use it on my hands and face. I would love to ga back to using it all over, but I am afraid of ruining more clothes. Interesting! I thought this looked like a lovely topping for my coffee! I have been using coconut oil (solid form) as a facial cleanser and moisterizer for a week or so now. My skin is looking great for the most part, and my foundation goes on so much more evenly. I will have to try whipping it. Hmm, I’ve been meaning to try this deoderant http://www.crunchybetty.com/all-roads-lead-to-the-pits-homemade-deodorant made with coconut oil. I wonder if whipping it would work to keep it from getting liquidy when its hot. I whipped some today. I has about 3/4 of a 16 oz. jar left and just put one beater in my hand mixer and whipped it right in the jar! I like anything that causes less dish washing. I also went through my bath cabinet and tossed a bunch of junk with un-pronounceable ingredients. Yay! ahhh Kelly! I lied about the hot temperatures and I’m so sorry 🙁 Mine always stayed whipped when it was hot outside and we keep our house at around 78-79 degrees in the summer. The cooking coconut oil would become total liquid, but I never had a problem with the whipped version until today. The air didn’t kick on and our house got to around 85 degrees. I came home to liquid whipped coconut oil 🙁 I feel horrible for misinforming everyone. So sorry. Looks like it will need to be kept in a cooler place if your house gets really hot. You can still put it in your coffee! In fact, many folks buy MCT oil (a component of coconut oil) and put it in their coffee for the health benefits it has. It does make the coffee oily on top but I just keep a spoon nearby and stir before I sip! Also good in herbal teas. So, with that in mind, now we can add Vanilla or other flavors (oils) that would taste good in coffee. And essential oils are also great for cooking! Ooooh! I love this idea. I have been using coconut oil for over 10 years but never knew you could whip it. Amazing! Thanks you soooo much Kelly! Hi I have seen whipped coconut oil used as an icing for cakes, they add a sugar alternative (agave, natvia, xylitol etc.) and is supposed to be yummy. Have you tried this? Yes I have and it is soooooo yummy!! I usually whip coconut milk (or heavy cream) and coconut oil, add in chocolate and a natural sugar and it’s the best icing ever!! Hi thank you for the info, I made my son the whipped cream and also added: olive oil, aloe Vera, calendula oil, moringa oil, frankincense and sweet orange essential oils. It helped his eczema a lot. Hi Deidy, Just read your post on coconut oil and other ingredients for eczema. Could you share the recipe for that? My grandson suffers from it and I’d love to find something to alleviate his symptoms. Sunflower oil is good for eczema. Eczema is caused by a faulty production of oil in the skin, which allows massive dehydration and and allows irritating substances in. The linoleic acid in sunflower oil replaces the fat and helps the skin heal. Okay, I’m going to sound really naive on this one. My mother cooks with a 100% pure coconut oil that she purchases at the grocery store (brand name is Louana). The only ingredient is coconut oil. Is this the same stuff you are talking about whipping and using in your recipe? It comes as a solid in a plastic jar. Thanks for letting me know. Pls am really interested in this. How do u get the oil from the coconut? Is it home made? It actually worked! After my so many times failure of making 30 seconds mayonaise I was a bit sceptic but it worked! I love coconut oil and use it as a facial or body oil, so was happy to find this since I do not always have the patience to lett it melt and then just use other stuff in stead. Amen on the coconut oil! So glad it worked for you. I love making homemade mayo now that it’s so easy!! Hi, Just read everyone’s comments and helpful hints on whipping the coconut oil which sounds great, however I was using the solid every day, twice a day as a moisturizer and it initially worked great, then after about 3 months it wasn’t working anymore. My skin felt dry and I started noticing my fine lines getting deeper on my face. I will note that it was Fall going into Winter if that makes any difference. Any idea why and how I can avoid this in the future? I just went to the health food store to buy what I need and I’m getting ready to make it I’m so stoked. Last week I found the recipe for the coconut body scrub and I loved it. I used coconut oil to shave my legs then I scrubbed my legs with the coconut scrub then I shaved again to get off all the dry skin and I couldn’t believe how well it worked and my legs stayed smooth for days. I always have horribly dry flakey legs and nothing gets rid of it but this scrub did wonders!! I can’t wait to see what else I’m going to make with my coconut oil!! I was reading along here (with the comments) and wondered if you have any tips on how exactly to use CO as a make-up remover (eye-make-up remover?). I just went the natural way and used honey as a cleanser – which works surprisingly well. But my eyes didn’t really like it, unlike my face. Do you melt it in your hands and rub it all over to remove make-up and eye make-up? Or rub it in a washcloth or … dunno. And do you use moisturizer after, or is that too much? Asking because I have very sensitive, often allergic, combination skin. I love using CO as my facial moisturizer. I use a local indoor pool for water exercises and was concerned about all the chlorine in the pool. I had read somewhere if I rub CO all over my body, it will act as a barrier from the chlorine. Is this true? I am ultra sensitive to chemicals and am a cancer survivor. Any changes I can make to remain chemical free I am all for!! I copy all recipes on homemade body products and cleaning products and do use them. I also use CO in my recipes where I can. Thank you for all your postings to make my world chemical free!! Hi Michelle! Yes, it is true! Coconut oil helps prevent toxins from entering our skin so it’s an awesome barrier for chlorine in pools (and for pollution and other toxins in the environment). Just be sure to apply it all over a few times throughout the day if you plan to be swimming all day. I LOVE coconut oil. Cant wait to try it whipped! But i was jw, does the whipped coconut oil have the same melting point as just plain coconut oil? Ok, thanks. Hi Rebecca! I had some regular coconut oil and some whipped side by side next to each other and the whipped version could tolerate a little more heat than the non-whipped (like a couple more degrees). If you keep your house below 78 or so degrees, it should stay whipped in your house! I don’t have a good mixer. Could I whip this in a food processor? Yes, I believe so, Mandie. I’ve never tried it myself, but I think it will work. I just tried this with a food processor. Mine just turned liquid. Can I put it back in the fridge to harden and try with just a hand mixer? Yes! I’ve never tried it in the food processor, but it sounds like the food processor heated it up too much. I think the hand mixer would work a lot better. YEAH! All the girls in my family ask me for coconut oil homemade Christmas presents (sugar scrubs, hair masks, etc.). I am so excited to whip some of this up for the holidays and give out as gifts! Thank you so much! A girl at my work told me the other night that the company that makes my coconut oil (Nutiva) should pay me. I told her I could teach a class…”coconut oil 101″…I just wish I had discovered it 30 yrs ago. Will DEFINATELY be whipping some tomorrow. Can it be refrigerated to keep it whipped? Question – how long does it last ? Does it go rancid, after a certain amount of time ? Thanks, in advance, for your response ! Looking to make some batches for Christmas gifts, and would like the info, to add to the whip ! Hi Tina, Coconut oil is a very stable fat and does not go rancid easily. Most companies coconut oils that I am familiar with have an expiration date of two years, but the companies claim they are fine much longer than that. So, it should last a few years 🙂 I hope they like their gifts – just remember they will melt and become unwhipped at temperatures above 76 degrees. I have friends that have a woodstove – ohmigosh, their house is like 100 degrees lol and it would definitely melt! This is so great!! I will definitely be trying this recipe. Coconut is SO Great!! I use it instead of butter for popcorn and to bake fry etc etc. I have my own business and I create Natural & Organic Hair and Body products. Coconut oil is used in my Herbal Hair Conditioner. I will try this for Holiday Baskets. Yes….be careful of the temperature it will melt. thanks!!! I have never tried CO in anything but lip balm. I ws wondering if it would work well on my skin. I am 50yrs old so starting to look at those fine lines, but also have terribly oily skin. Will this help balance, reduce, or make worse? And I know this is silly to ask after all these comments, but how do you use as both a face cleanser and moisturizer? I use coconut oil to remove eye makeup before I wash with a cleanser. It loosens up the makeup with out harsh rubbing. Then moisturize with it by applying it all over until it’s absorbed. I am just speaking for myself. I am not sure how to actually use it as a cleanser. Can you just rewhip if it gets liquidy again?! I know at certain point you can whip other stuff too much, but can you rewhip coconut oil?! Can you rewhip if it gets liquidy? yes! Just put it in the fridge to harden again and re-whip! I am trying for the first time to whip up some coconut oil. I have whipped it for over 5 min now and I am not getting any stiff peaks yet. Should I keep going??? I am growing an aloe vera plant and am wondering if I could squeeze out some aloe and put some in my whipped coconut oil. Any advice or ideas? I think that would be fantastic! I’m not sure if anyone else has pointed this out yet or not, but most citrus essential oils increase photo sensitivity – meaning, it increases your chances of getting a sunburn. Just a thought if you’re going to use citrus oils in this. I just made some of this…with the ridiculously cold weather we have had already (below zero more days in December than above!) my skin is sooooooo dry, and I’m getting red, scaly patches on my legs. I slathered it all over my body and can’t wait for it to do its magic! Awesome 🙂 I love this stuff!! I whip CO and add Tea Tree Oil to use for face wash. I add vitamin E to whipped CO for moisturizer for my face. (I made it for eye cream but always end up using all over my face because it is so luscious.) And,of course, whipped with shea butter, almond oil and EO for an amazing body butter! Can you tell me more about the CO as a toothpaste? I’m very interested in this because I’ve heard that coconut oil can actually help teeth to heal. Thanks! Hi Elissa! Yes, coconut oil makes the best toothpaste! Here’s a super simple recipe I make: mix together equal parts coconut oil and baking soda and a few drops of peppermint essential oil (you can also use cinnamon essential oil). If you need it sweeter, some people also add stevia. If you keep your house very warm (over 76 degrees), it will melt, but it will still work great melted! What kind of container do you recommend to put it in? Hi Avi! I usually just put it in a wide mouth glass mason jar. 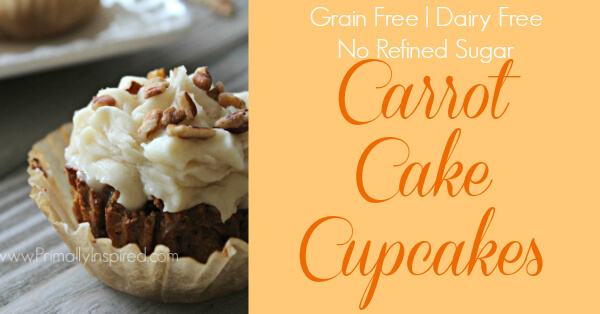 I LOVE all of these recipes and I love the simplicity of whipped coconut oil. I just discovered your post while Googling homemade recipes for a Ladies Night I’m hosting with a co-worker to bring awareness to the harsh chemicals in commercial beauty products. I can’t wait to share this recipe with them! Coconut Oil used as a DEODORANT ! 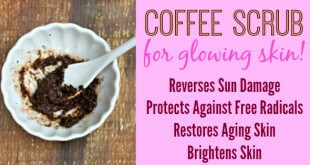 It’s natural, easy to make, inexpensive and it WORKS ! I live in Florida and spend a lot of time outdoors and this works better than the name brand deodorants, anti-perspirants and crystal deodorants. No harmful chemicals and its good for your skin. Use 1 part cornstarch, 1 part baking soda and 1.5 part coconut oil. You can add an essential oil if you wish. Mix them together and store in a glass jar. If it works for me down here, it’ll work anywhere. Awesome! Thanks for letting us know, Lacey! Love that Jennifer! Thanks for sharing your recipe! SO excited to try this!! Making a peppermint one as soon as I’m done commenting!!! CO is awesome. I use it for just about everything, cooking, body oil, hair, dental etc. It does a great job whitening my teeth. How to use: About a teaspoon to swish around for 10-20 minutes before brushing in the morning does an amazing job. While showering or fixing my hair gives me enough time to complete the dental swishing. I just had my first try today. I wiped the coconut oil and I also mixed with a little aloe vera and tea tree oil. . I placed the jar in the bathroom and took a shower. When I came out my lovely cream had liquefied. Any ideas as to why? Also is taken forever for my skin to absorb the oil…do you think I may be using too much? This is my first experience with coconut oil and I would like some advice. Hi Cris! 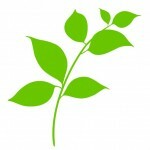 I love your idea about mixing it with aloe vera and tea tree – nice!! Coconut oil will turn to liquid at temperatures above 76 degrees. So if you keep your house at that temperature or warmer, it will melt. I keep my whipped coconut oil in a dark cabinet (and our house is always around 70 degrees F) and it will stay whipped. Coconut oil does take a long time to absorb into the skin and a little goes a long way! Is it suppose to have oily liquid on top the day after whipped? I have tried 2 different brands of coconut oil and they still wont stiffen, it always comes out soupy. My house aint hot enough to melt the oil so I don’t know whats going on. That’s very interesting and a bummer, Dorothy. I don’t know what’s going on either! Are you whipping it with a blender or food processor, or something that may be generating heat as it whips? As stated earlier, coconut oil liquifies at 76/78° F. A hand or stand mixer stays cool and shouldn’t melt it.